Along with indexes, leadsheets, and tickmark legends (all stuff for future posts), accountants believe in workpaper references. Workpaper references are an important part of an accountant’s system and much care is given to setup the appropriate structure. 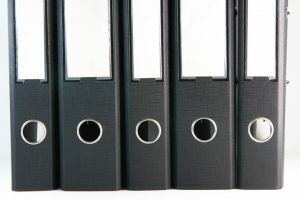 Having a good setup can reduce the number of binders and help accountants locate work faster. Workpaper references are the unique identifier for each document (e.g. FR-1). Often each subsection or page will have a different workpaper reference. Examples include having a section of workpapers be ‘A’ and subsections as A-10, A-50, A-100, and so on. Accountants cannot consider work to have been done without putting a workpaper reference on it. Typically, signoff and dates are also attached. As workpaper references are extremely important to accountants, accountants have highly developed systems of workpaper references and are proud of their own unique setup, which was basically copied from preceding accountants. These workpaper reference systems, while intended to be straightforward, often change over time, and you will frequently find white out where workpaper references reside. Workpaper references are important to accountants because it demonstrates that there is order to the chaos that typically engulfs the profession. It allows accountants to organize information in an orderly fashion and be creative in their naming scheme (e.g. use ‘Q2C’ instead of Quote to Cash). Referencing always comes up durng reviews…”that schedule should be at the front not the back”, and there are arguments like “forward references should be a the front of the number not the back…”. I’ve had my share of arguments over referencing conventions. I was once threatened with termination for referencing a lead as “A-0” rather than just “A”, even though the former was accepted practice at the time. – Maybe the nitpicking I received over referencing practices is part of why I am self-employed today.